China has had enjoyed unprecedented growth and its citizens have reaped the benefits of a bumper crop harvest, levels that this world has never seen before. Chinese leverage and government spending in the past decade have been excessive. Can consumption save the day? China has been a fascinating story for the past few decades. As a country its citizens have reaped the harvest of unprecedented wealth creation, leading to a relative increase in quality of life the world has never seen. China is now home to the 2nd largest amount of billionaires (213), second only to the United States (536). China also laid claim as the country with the 2nd largest nominal GDP in world, and just recently, and relatively quietly, in 2014, became the country with the largest GDP by PPP standards (arguably a more accurate measure of true production, includes adjustments to account for exchange rate and cost of living differences). Yet it seems that the castle is about to come crumbling down. Fueled by lax lending rules and excessive government spending, China's debt levels have exploded. 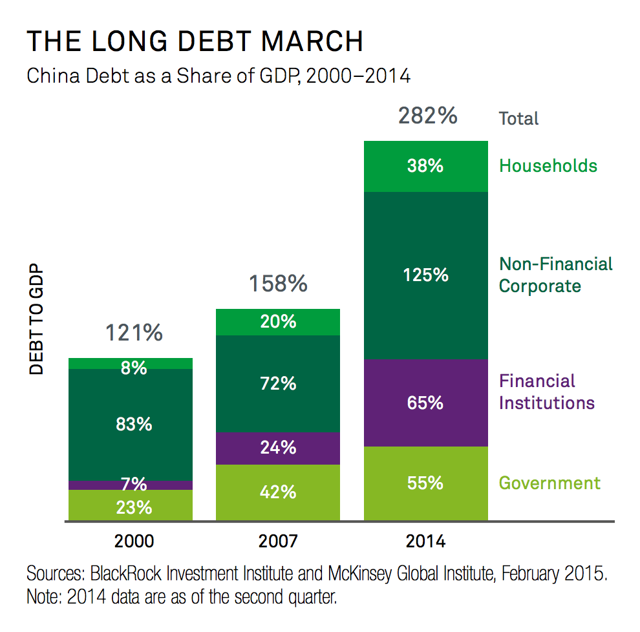 China's debt is rising rapidly. Fueled by real estate and shadow banking, China's total debt has quadrupled, rising from $7 trillion in 2007 to $28 trillion by mid-2014. At 282 percent of GDP, China's debt as a share of GDP, while manageable, is larger than that of the United States or Germany. 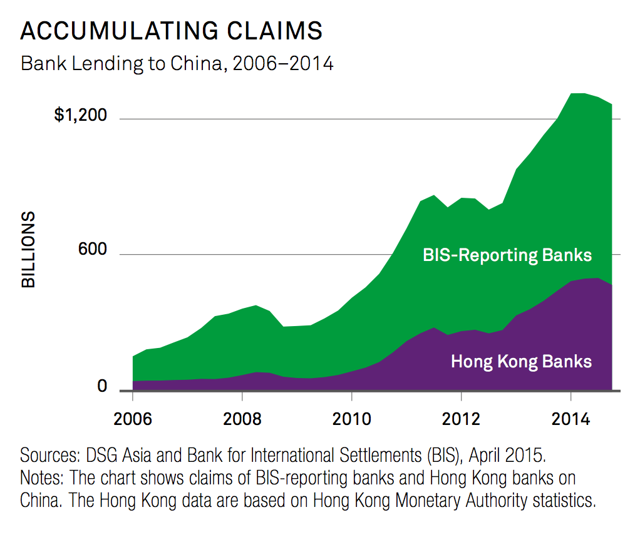 * Several factors are worrisome: half of loans are linked directly or indirectly to China's real estate market, unregulated shadow banking accounts for nearly half of new lending, and the debt of many local governments is likely unsustainable. *Includes debt of the financial sector. Purchasing a house is one of largest and most important transitions in your lifetime. Macroeconomic factors are favorable for purchasing real estate. High asset prices are fueling capital into alternatives assets such as real estate. Purchasing a house is one of largest and most important transitions in your lifetime. It can also be one of the best investments you ever make. Peter Lynch is famous for saying: "Before you do invest anything in stocks, you ought to consider buying a house… in 99 cases out of 100, a house will be a money-maker". Before you stop reading, citing the sub-prime mortgage crisis as the greatest financial crisis since the Great Depression, take a moment to review these figures. You get to leverage yourself 500% by putting only 20% down on a mortgage. No margin call on your levered bet. Interest payments on your mortgage are tax deductible. Local tax payments are deductible from federal income tax. Tax credit programs for households under certain income levels (surprisingly generous levels, up to $90,000 in many areas). Non-taxable capital gains on your investment (certain rules apply). The price of your house will NEVER go down!!! Let's assume your household makes $65,000 a year and assume a worst case scenario, meaning you live in California and have to pay a 12.3% state income tax. After all taxes, federal withholding, social security tax, Medicare tax, SDI (don't ask), your monthly take home pay is $3,710.32. With this income, given a 30-year fixed rate mortgage at 3.92%, you can afford a $300,000 house/condo making monthly payments at 40% rate of your monthly take-home pay. Your down payment (initial investment) of 20% would be $60,000.